We all survived the great ~6% pullback of 2013! Momentum remains bullish as markets continue to focus on central banks and the timing of QE exit. Even with earnings season in full swing, the syllable-by-syllable analysis of Bernanke’s speech on the history of the Fed received more attention than the earnings of the world’s premier financial franchise. Luckily for the bulls, the focus of the speech was on keeping rates low for an extended period of time (LEPT policy). An overall defensive week despite the big run higher. Utilities, consumer staples, and healthcare led the charge. Is it just me or has every bull run in recent memory been fueled with toe-in-the-water buying of defensive sectors? 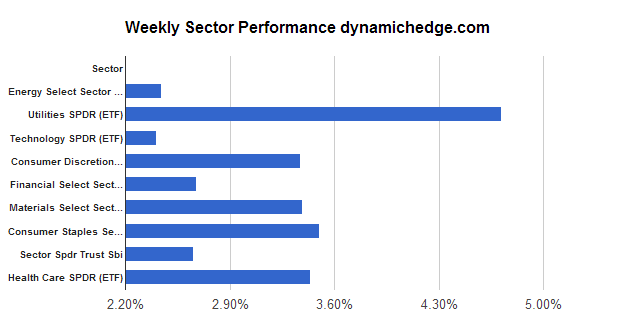 Lagging sectors this week were industrials, energy, and technology. Large cap tech can’t seem to get out of its own way. Growth orientated technology had an amazing week. 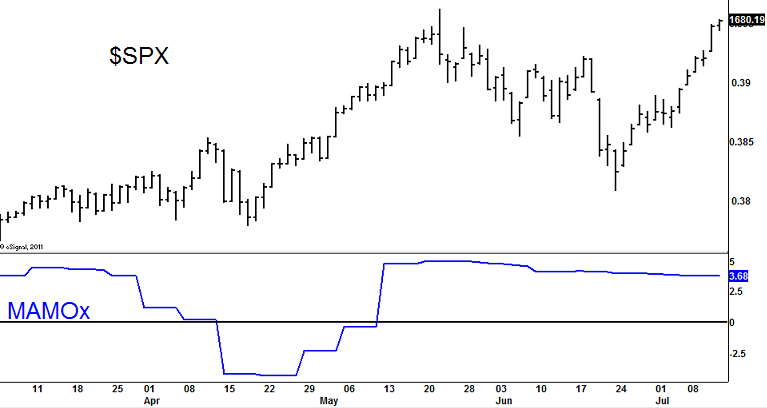 I mentioned that a break down in breadth would be a warning sign for the market last week. 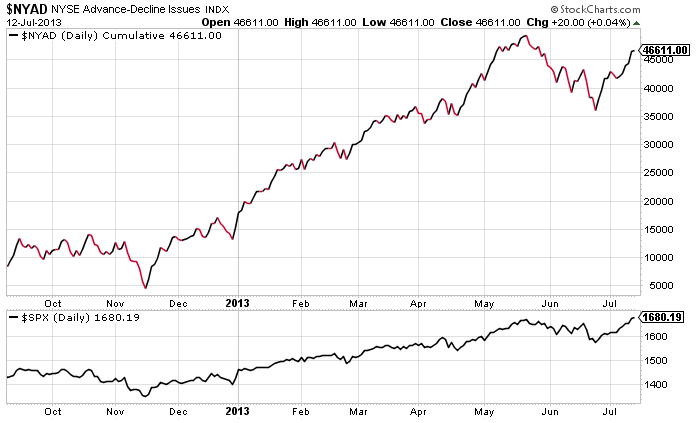 Breadth didn’t break down, but this and other indicators are flashing divergence. I’d like to see it back in sync with the market and return to all-time highs. I also recognize that it is probably prudent to give these indicators some time to come into line. On fatherhood: In general, I’m sure I worry too much about life. I always try and be mindful that every experience in life is a two-sided coin. 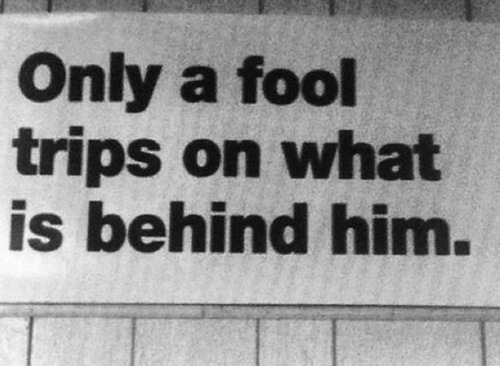 No matter how great anything seems at the time there is always nuance and perspective to be gained. Most of the advice you get on being a new father centers around the negatives, like the fact that you will never sleep again (and yes, they’re right). I think this is because fatherhood is such an individual experience that it’s difficult to enunciate the great things about being a dad. Two weeks ago my wife gave birth to a beautiful baby girl. The love I feel for my new baby girl is the only 100% pure emotion I have ever felt. There is no shade of grey, nuance or perspective. It is a single-sided coin. Pure upside. It’s an amazing feeling.